The Stuckey building in Rosamond, c. 1890. 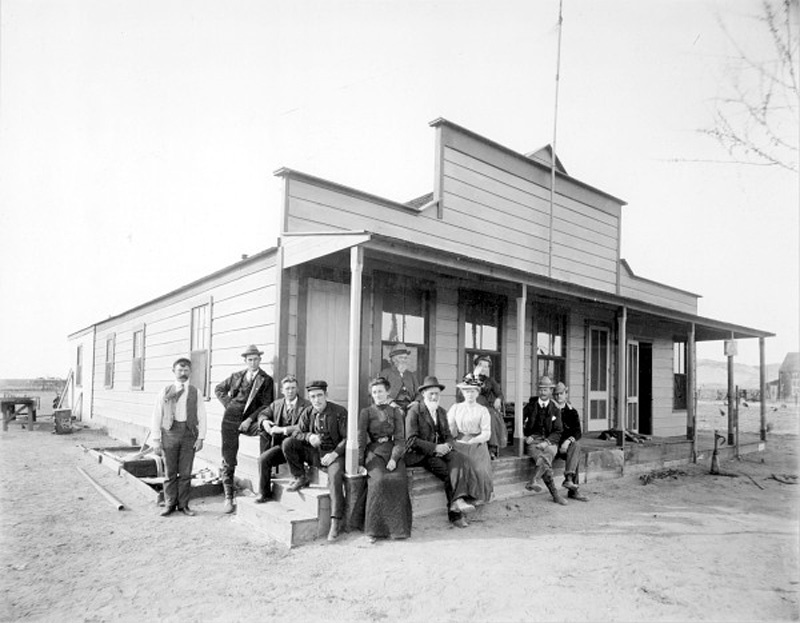 Built in the 1880s, this was the desert community's first commercial structure. It housed a three-room hotel, a post office and a general store. According to contributor David Desmond it was occupied as a residence, after its commercial use, by George and Ella Kenton. Mr. and Mrs. Rawley Duntley lived in the structure following Ella Kenton's death. It was moved to the Goldcamp Museum at Burton's Tropico Gold Mine Tours in Rosamond following Rawley Duntley's death in the 1960s. The building now sits on Glenn Settle's property at the Tropico gold camp. Glenn and his late wife Doreen Settle have been historians of the Antelope Valley for decades. Photo by Pierce & Co., 313 S. Spring St., Los Angeles; acquired by SCV Historical Society member David Desmond in an auction of the Tropico Goldcamp Museum's contents.